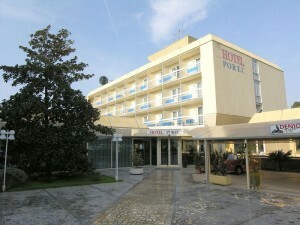 Hotel Porec and its surroundings Porec is a beautiful city, well known for its characteristic historical centre and rich offer of hotels, restaurants, nightclubs, cafés and bars. Hotel Porec is conveniently located between the old centre of Porec and the beach (both at a distance of 200m), making it an ideal hotel for those who like to have plenty of activities, facilities and attractions within walking distance. The city of Porec offers its guests a wide choice of activities, events, beautiful beaches and landscapes and many rich cultural monuments, making it an exiting holiday destination for families, couples, youth, adventure seekers and culture lovers. Porec’s rich cultural heritage can be seen in the historical town centre, which offers the famous Euphrasian Basilica (a UNESCO world heritage site) and many museums, galleries and palaces. This popular coastal resort has won many national tourism awards for its outstanding quality. Hotel Porec is open all year round and offers 54 rooms with balcony, air conditioning, central heating, mini bar, safe, telephone, satellite TV, hairdryers and a desk. Besides a restaurant with a menu and a breakfast, lunch and dinner buffet, you will find a spa and wellness centre, lots of boutiques, a casino and a 24 hour hotel pub at your disposal (which means that it can be a little noisy at night, depending on where your room is situated). Amongst the hotel services are a 24 hour front desk, a lift, laundry service, currency exchange and non-smoking family rooms. 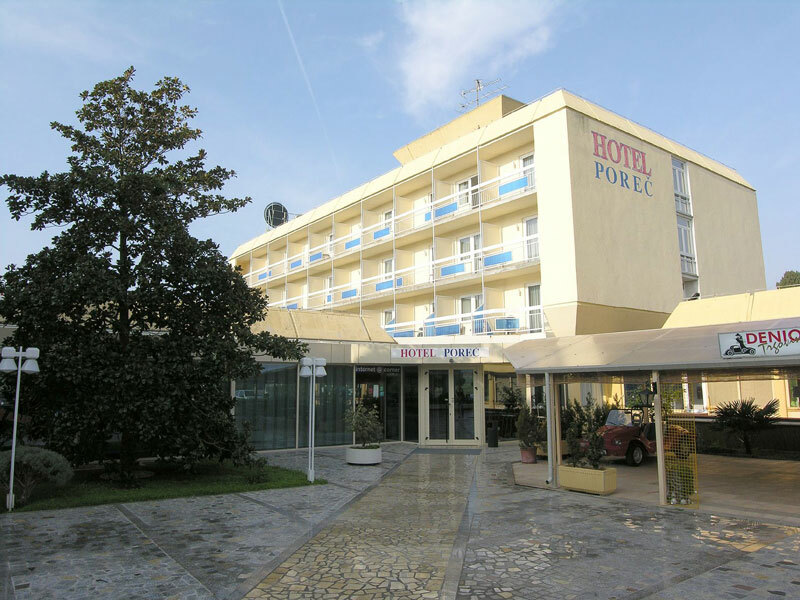 Hotel Porec is located right next to the bus station, which is very convenient for travellers using public transport or those who need a room for the night after arriving by ferry from Venice. The hotel is especially suitable for those looking for an active holiday. Many sports lovers choose Porec for their holiday because almost every type of sport is available, such as beach volleyball, tennis, golf, mini golf, para-sailing, bungee jumping, horseback riding, scuba diving, water skiing, jet skiing and cycling. like other Hotels in Porec , it organizes tennis lessons and golf lessons for beginners and tournament players, lead by official tennis and golf trainers. This inexpensive hotel offers basic but comfortable rooms for a good price, making Hotel Porec very suitable for guests travelling on a budget.